Our dear friends Ali & Steve are expecting their first little one in October. 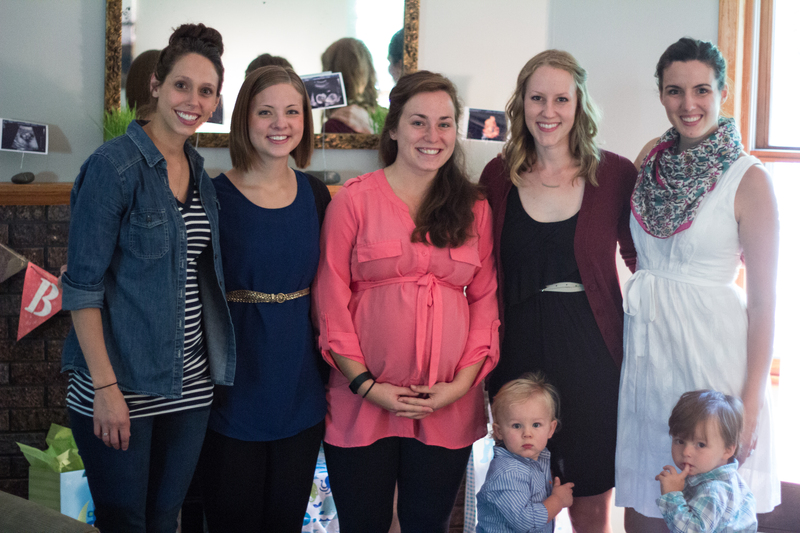 This makes baby #5 in the past year for our small group and we have a few more on the way! 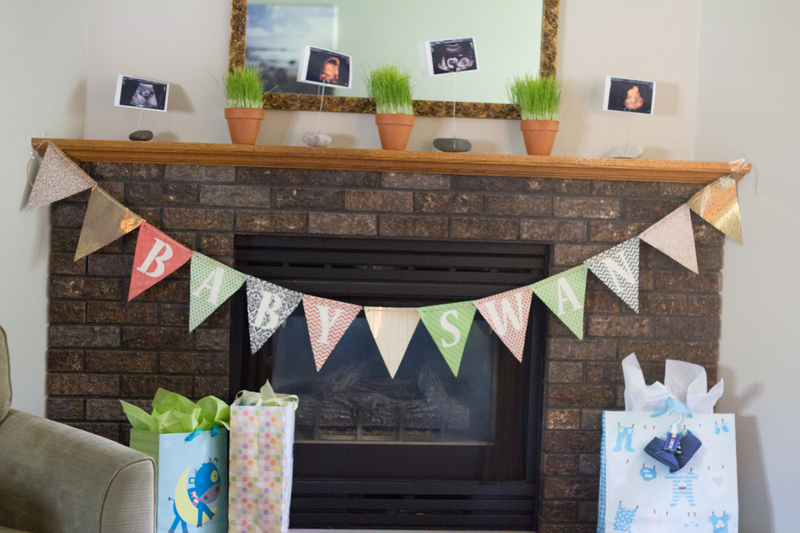 As a small group, we wanted to make sure and shower them well before baby’s arrival. 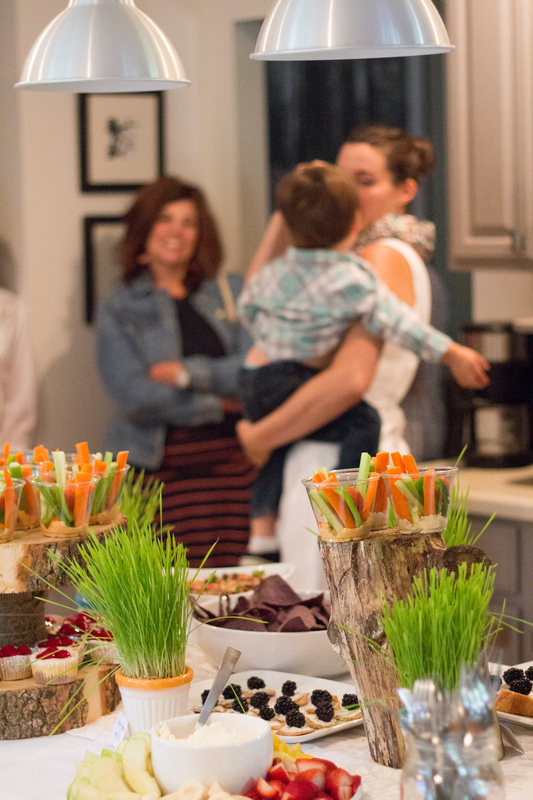 With the help of Christina, Andrea and Jen, we put together a natural/gardeny shower since Ali & Steve are more earthy people. (It’s actually one of my favorite things about this couple aside from their hearts for Jesus.) 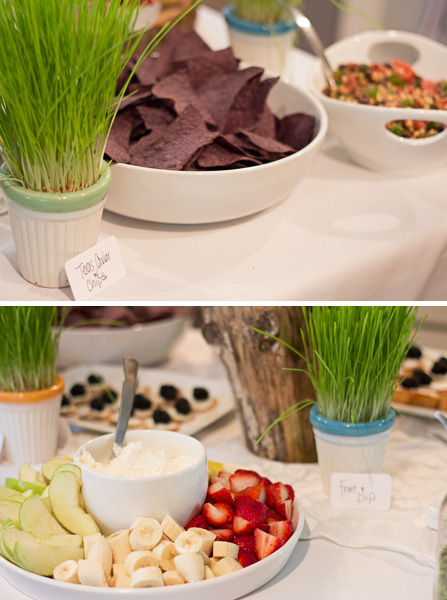 The shower was in the afternoon so we kept things simple with just appetizers and a few drink options. 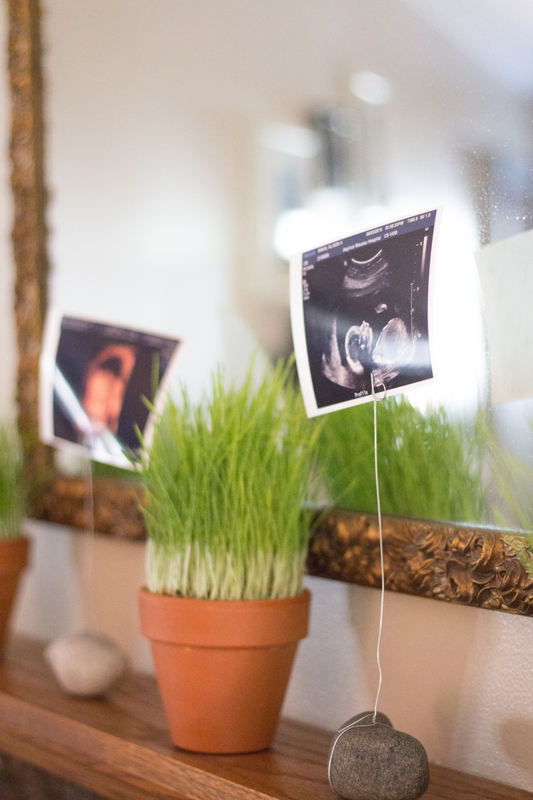 We tried to bring in some natural elements with the decor so I potted some wheatgrass, made rock displays for their ultrasound pics and used those beloved wooden rings for the food. 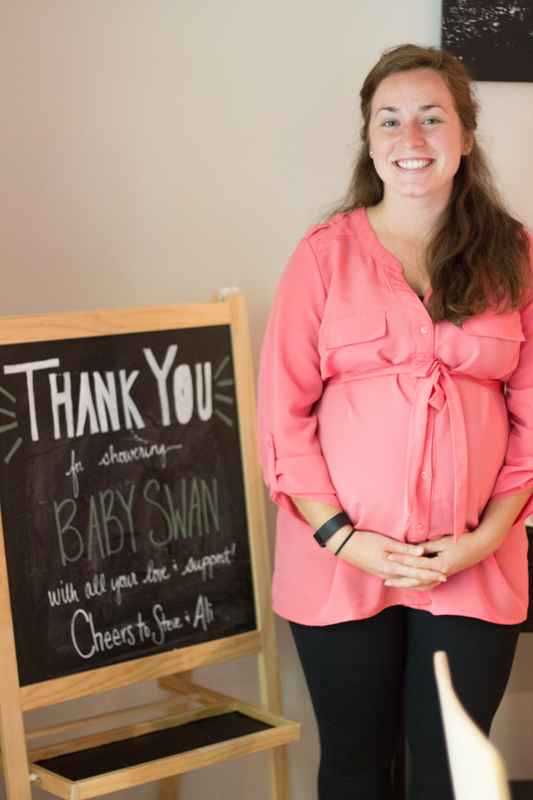 I’m so happy with how everything came together, so I wanted to make sure to share some pics of us celebrating Baby Swan. For drinks I had asked what Ali was liking as of late and she mentioned she couldn’t get enough of pink lemonade. 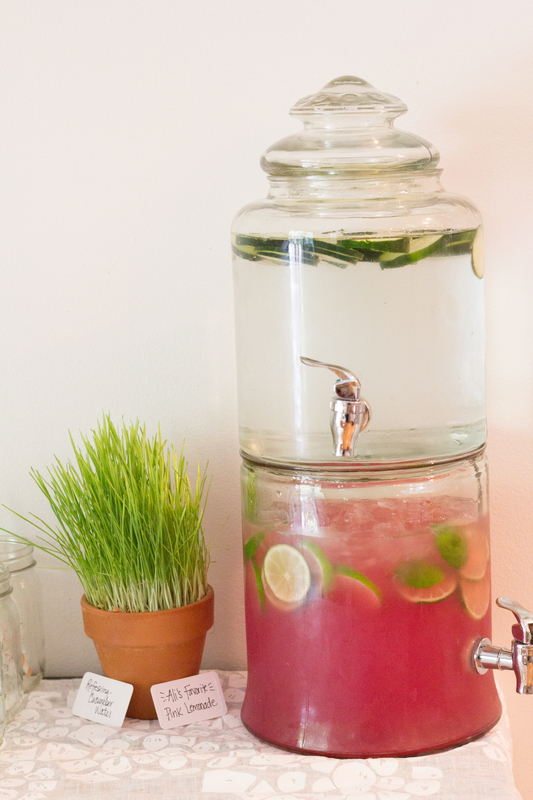 So I made pink lemonade and added slices of limes. I also wanted to dress up plain water so I went with the garden mentality and added sliced cucumber. 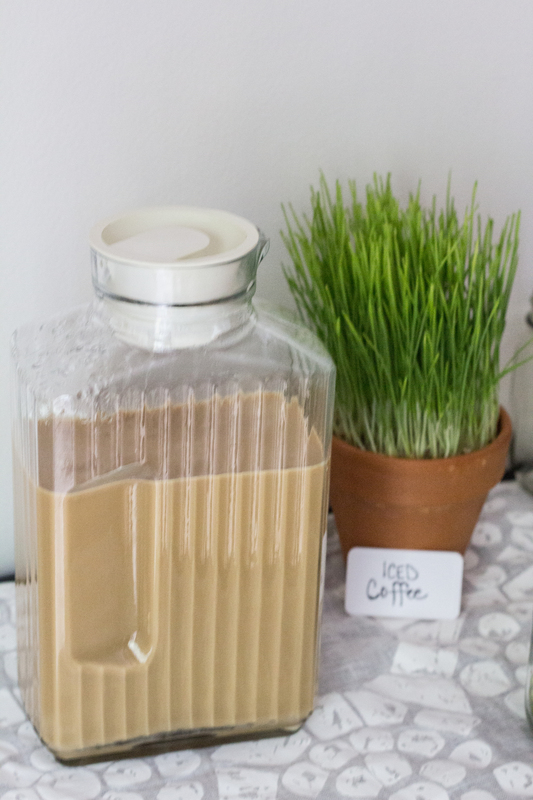 Also as a way of simplifying the need for more than one type of cup, I made iced coffee instead of regular hot coffee. I plan on blogging the simple recipe later for you guys. For food each of the small group ladies brought an appetizer. 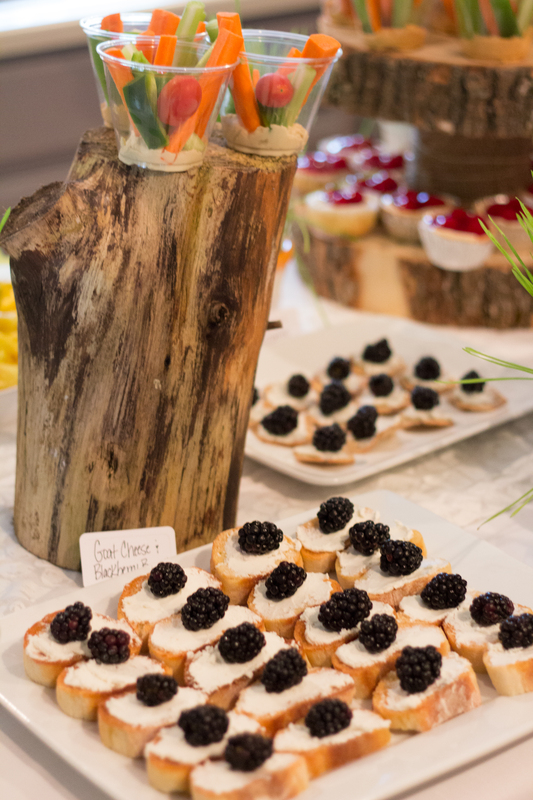 We ended up having fruit with dip, Texas caviar with chips, Hummus and veggie cups, goat cheese with blackberries on baguettes and cherry cheesecake for dessert. 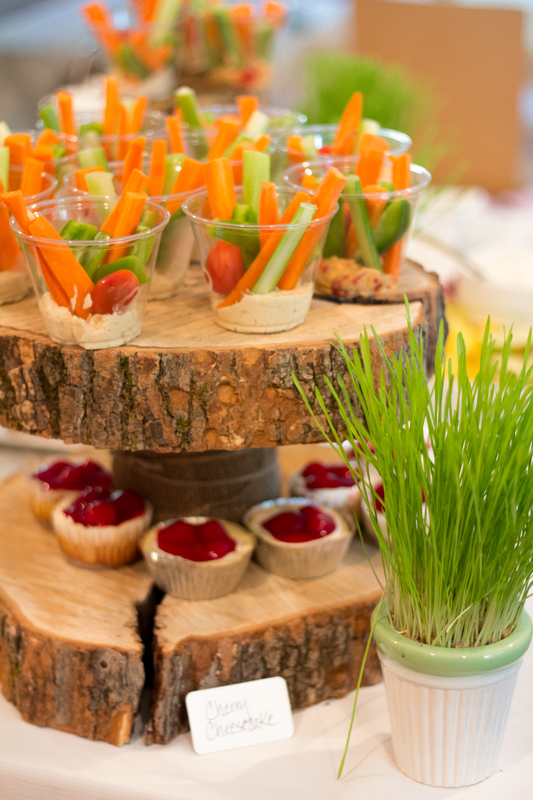 Decorations also doubled as a “take away” for our guests. I grew the wheatgrass in pots because I thought it looked gardeny, but also it’s a healthy thing for people to enjoy after the shower. 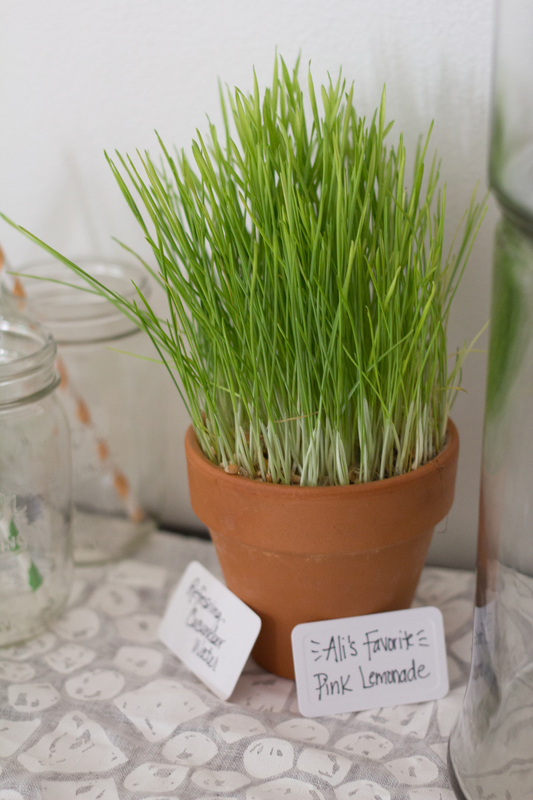 So everyone got to take home a pot of wheatgrass at the end of the shower. I think this was my favorite thing about the shower. I love how it added such a fun pop of color and life to the decor. 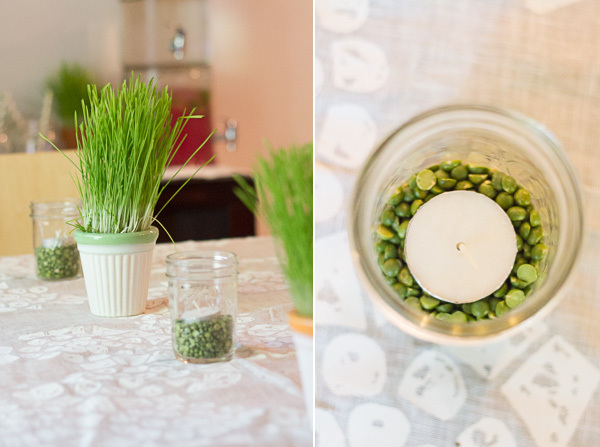 Another simple addition was using dried peas in mason jars for tea light holders. 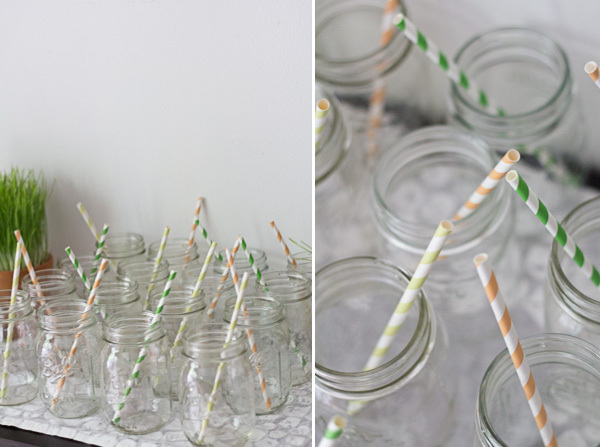 I also used the peas in the holders for extra straws and the forks. Crafty Jen made the banner for our mantle which turned out wonderful. I also made simple picture holders out of rocks and some wire. SO SIMPLE. 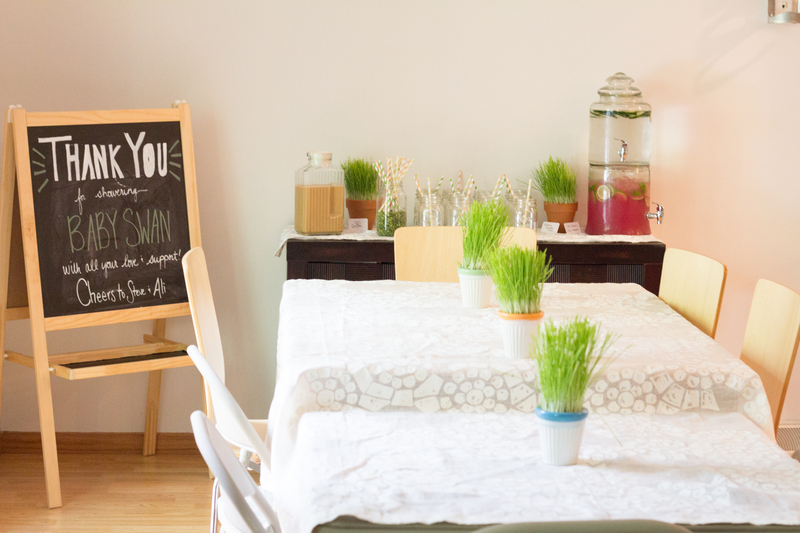 More potted wheatgrass made the decor flow and made the mantle complete. We did play a few games (which I absent-mindedly forgot to take pics of) but again kept things very simple. We played a memory game where a tray of baby items were brought out for 30 seconds and then people had to try and write down as many as they remembered. Also we filled in some funny mad libs as advice for the parents to be. 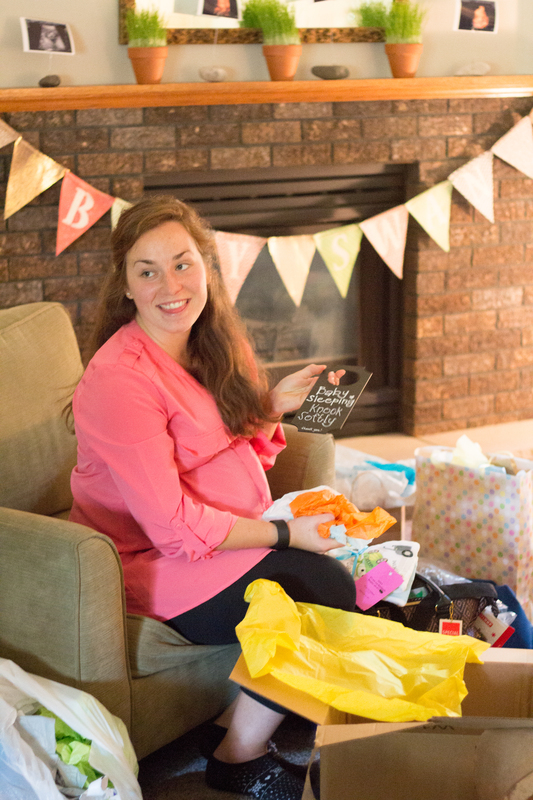 We wrote words of encouragement or something comical on diapers for the Swan’s late night diaper changes and lastly we played Bingo while she opened gifts. Ali’s mentor Sarah was gracious to us and lead a little devotional for Ali and shared her top things she’s learned about being a mom in the eyes of God. We also took time to pray over Ali and Baby Swan and read scriptures that highlighted our honest hopes for Baby Swan’s future as he grows up. 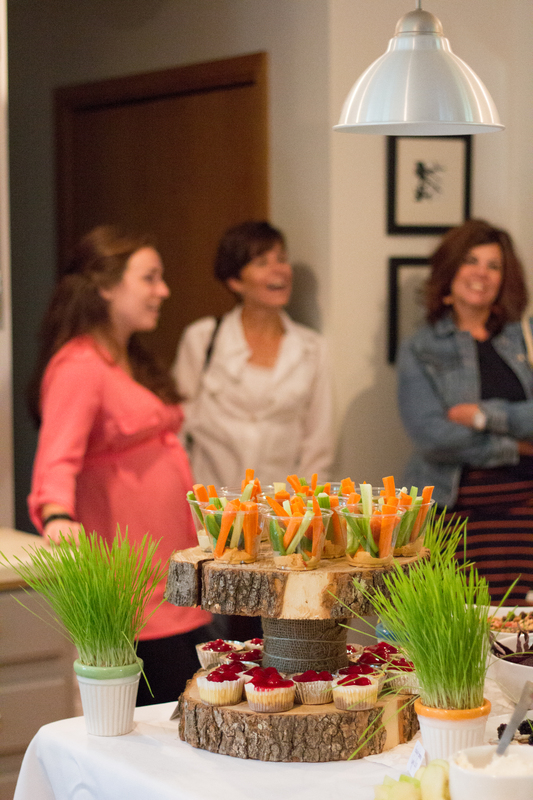 All in all, it was a great time of fellowship and celebration. 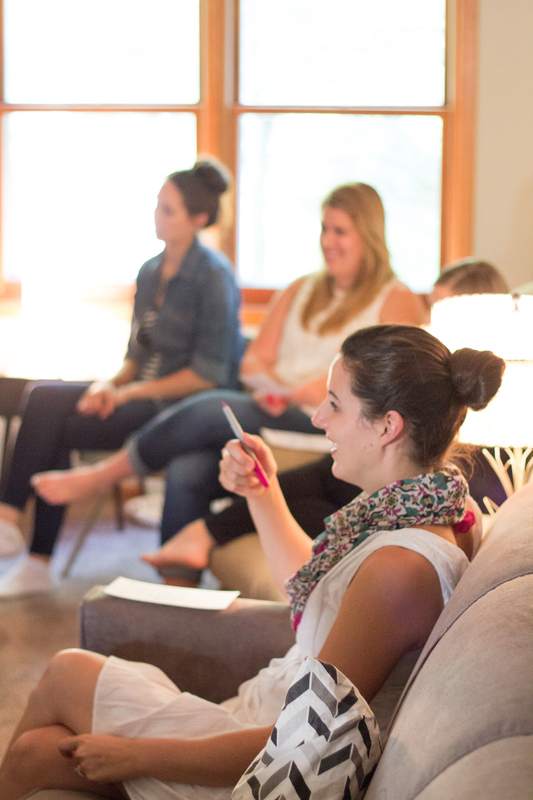 Our small group ladies. From left: Andrea, Jen, Ali, me (Emma), and Christina. (Oh and a few little handsome guests Myles & Emmett). 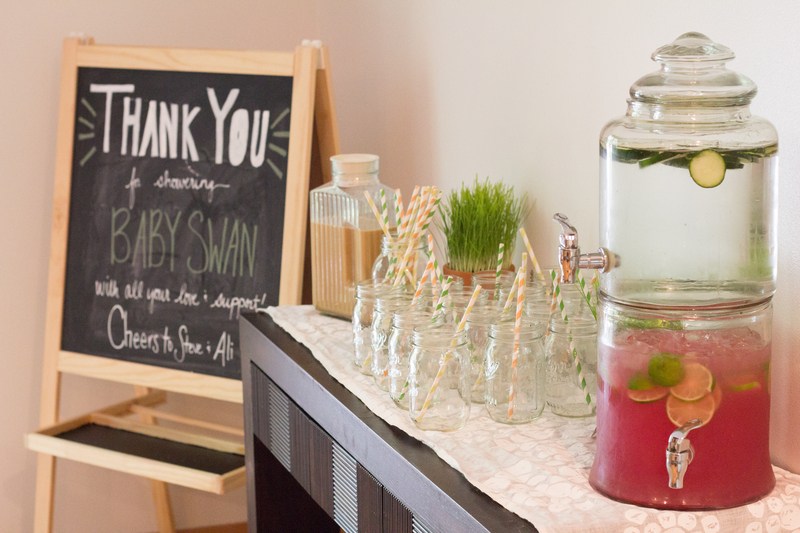 We love you so much already Baby Swan and we can’t wait to meet you darling boy!